MoneyWise Episode Reminder Get a sneak-peek into each new show, delivered straight to your inbox! MoneyWise is a daily radio ministry of MoneyWise Media. Hosted by Rob West and Steve Moore, the program offers a practical, biblical and good-natured approach to managing your time, talents and resources. Rob West is the host of the nationally syndicated radio programs MoneyWise and The MoneyWise Minute heard on more than 900 radio outlets each day. 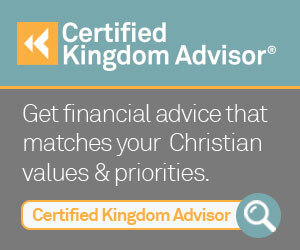 Rob also serves as the President of Kingdom Advisors, an international community of financial professionals who are specialists in delivering biblically wise financial advice. Rob serves as primary spokesperson for the organization and gives leadership to organizational strategy. A radio veteran, Rob previously co-hosted a live, call-in, financial radio program with his father from 1998 through 2008 at WAFG, Fort Lauderdale, FL. Rob has dedicated his professional career to working at the intersection of faith and finance having led a successful faith-based financial services firm, serving as the host of several radio programs on a biblical approach to finance, and speaking frequently on the topic. Rob and his wife, Julie, live in Marietta, GA with their four children. Steve Moore joined Larry Burkett at Christian Financial Concepts in 1985. The radio network grew from two hundred to over twelve hundred stations in just a few years with "How to Manage Your Money and Money Matters" being recognized with a number of national awards. Steve remained as co-host and Vice-President of Broadcasting through the CFC/Crown merger in 2001 and Larry Burkett’s death in 2003. He then hosted the Money Matters program with Howard Dayton until 2007. In the spring of 2011, Steve and Howard Dayton felt the time was right and that God was directing them to once again start a daily radio call-in program that would help people find practical and biblical ways to manage their resources.